Thessaloniki is no stranger to good food but as the economy is still not making huge strides, people of the industry choose to focus on smaller portions and interesting concepts rather than fully-blown restaurants. Mia Feta feta bar is part of this movement, having opened more than 3 years ago and offering great Greek produce in the form of a deli and a long communal wooden table for some live sampling. 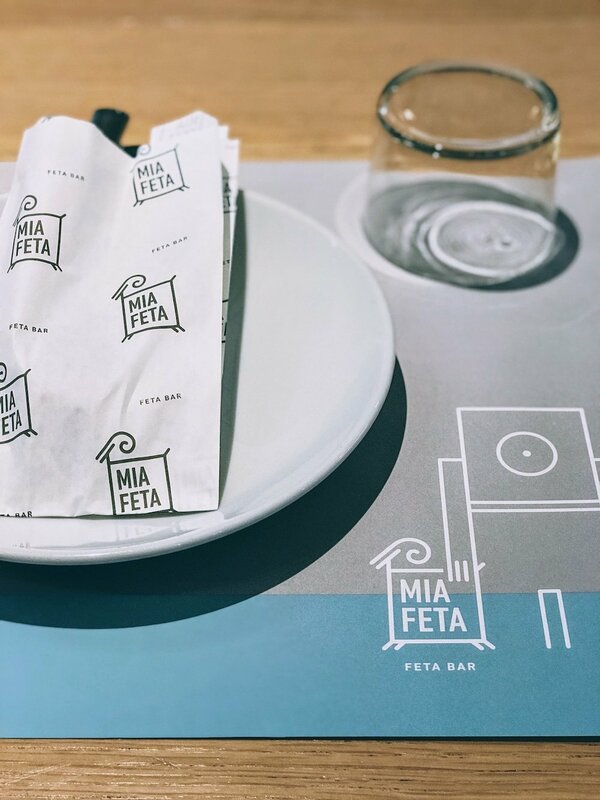 Located conveniently on Pavlou Mela street, close to some other tasty outlets, Mia Feta is a cleanly designed (and operated) deli store that will catch your attention the minute you walk past it. A large wall-to-wall fridge fully stocked with great Greek produce, some mainstream and some from local producers, is making up for a great vibe as busy shelves nearby are filled with jars of jams, sauces and other of the sort. The long communal table in the middle is the centerpiece of the store where you need to focus, unless you're on a hurry to buy something to stock up your pantry. If you do sit down for a heartwarming lunch you'll quickly realize that the menu offers a great variety of cheese-inspired options. Instead, start with the soup of the day and focus then on the risotti (we recently tried the mushroom risotto once again and it was delish!). The chicken bites were also very tender and crisp! Service is not the best, as one waiter strives to make ends meet with all guests occasionally also tending to the takeaway fridge. Nonetheless, the place offers a wide variety of Greek wines so cheerful as you'll be, pop another bottle open and enjoy! The cheese comes plenty so ask the waiter for a nice assortment (think truffle feta cheese!) to go with it. Tip: even if the weather is nice when you visit, make sure you get a seat indoors as the tables outside (nice as they may be) lack of that funky deli vibe! Nov 15 The Weekly Getaway: Beirut, think Paris plus the fun!